Move to the modern era of time attendance with the TA100C biometric device. 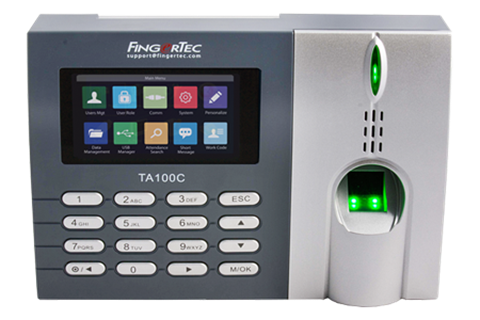 With a systematic method of data collection, all your staff will have to do is scan their fingerprint and presto! - your attendance record for the day has been taken care of. The eye-catching full colour TFT screen enhances the hi-tech look of the machine, and compliments the overall look of any office environment.